City of Cards C3.25: HERE! Okay, this is probably one of my favorite pages so far. I don't even know how many hours I spent working on this page from pencil to finish, but I can guess it adds up to at least a full 24 hours. That may seem ridiculous, but it was worth it to me to figure out a lot while doing this page. And besides, it's always nice to draw Ace looking smooth in his element. 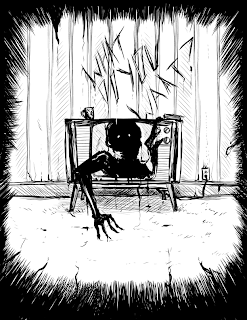 You can listen to this story here: "TV Man by CreepsMcPasta"